Na’ama Sheffi teaches at the School of Communication at Sapir College, Sderot (Israel). She completed her studies in modern history at Tel Aviv University, and has published extensively on German and Israeli culture. Her publications include German in Hebrew: Translations from German into Hebrew, 1882–1948 (Hebrew, 1998; German, 2011). Currently she is conducting a new research on German translations into Hebrew since 1948. In the fall of 1938, following Kristallnacht, the symphonic orchestra in Palestine cancelled the performance of Die Meistersinger von Nürnberg. No one could foresee that this would be the beginning of a never-ending boycott. The boycott began in a society struggling for its existence and collective identity; it continues in a well-established culture that maintains close ties with Germany and German culture, when numerous Israeli institutions are involved in commemorating the Holocaust. At present Wagner is known in Israel mainly as a symbol of the Holocaust. From the late twentieth-century Wagner is the only composer who aroused strong opposition when attempts were made to publicly play his music. Analysis of this controversy sheds light on the changes that have taken place in Israel – from a pioneering to a traditional society, and from a socialist to a capitalistic one. 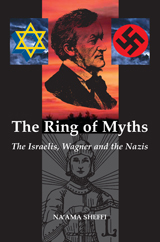 In the Wagner Year The Ring of Myths appears in a revised edition, including interpretations from new perspectives on the place of the Holocaust in Israeli society and the processes of change until 2012. 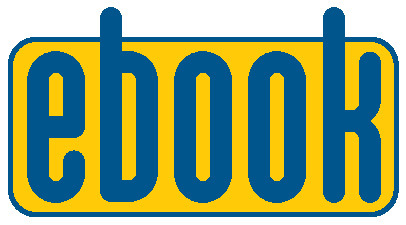 This book is a revised paperback edition of the earlier 2001 hardcover publication. Does an excellent job of showing the historical evolution of the debate, and linking this to the political and ideological evolution of the State of Israel. The reception of German culture in general and Wagner’s music in particular is traced to show how the taboo developed alongside the collective memory of the Holocaust... For Sheffi, the dilemma around Wagner reflects the situation of the state of Israel as a whole... She takes the musical debate . . . and uses it as a mirror to reflect Israeli society today. [The book] shows a profound understanding of how Israeli society emerged and how it functions today. Professor Sheffi is as much a journalist as an academic. Her search for truth is clearly a personal odyssey, but it’s also a means of revealing to the world how truth and myth have jostled with each other over the last 60 years, sometimes merging to become almost the same thing, and sometimes standing out in strident confrontation. Inevitably, the role of the media in making truth into myth (and vice versa) is paramount. [...] despite the frustration shown here, Na’ama Sheffi continually reminds us towards the end of her book that there was never any official ban. Reviewed in The Wagner Journal, volume 8, number 2.